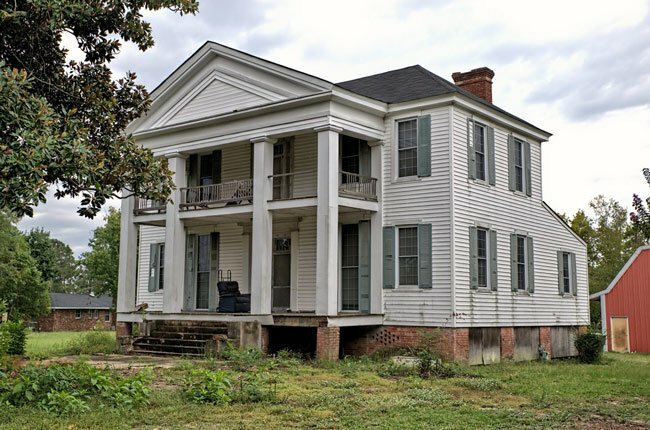 This Greek-Revival home stands as one of the oldest in North Augusta – if not the oldest. 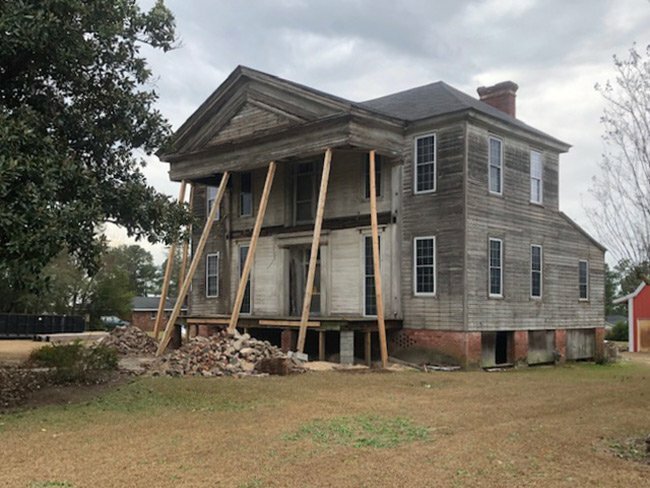 The Revolutionary War-era home was built for Charles Hammond, whose family came to what was then Edgefield District from Virginia in 1779. Charles Hammond, as well as his four sons, all served in the war. 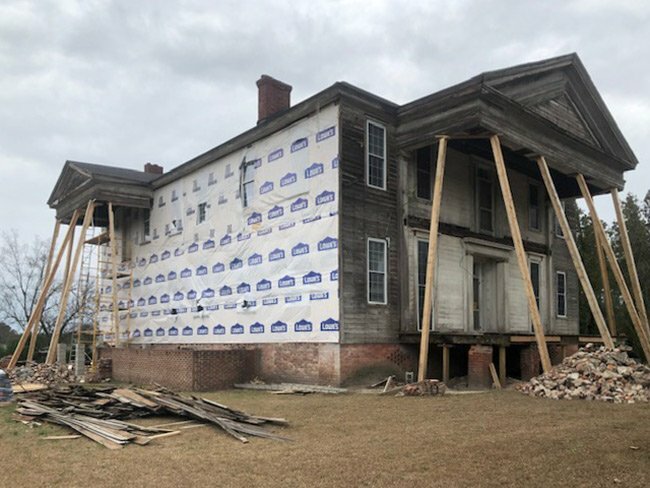 When the house was completed some time around 1780, it was a simple two-story clapboard structure made of pine. The home, which was eventually inherited by Hammond’s grandson – also named Charles – was renovated around 1830 into its current classical design. Four rooms were added during the 1830 renovation, and formal English gardens were landscaped on the property that same year. 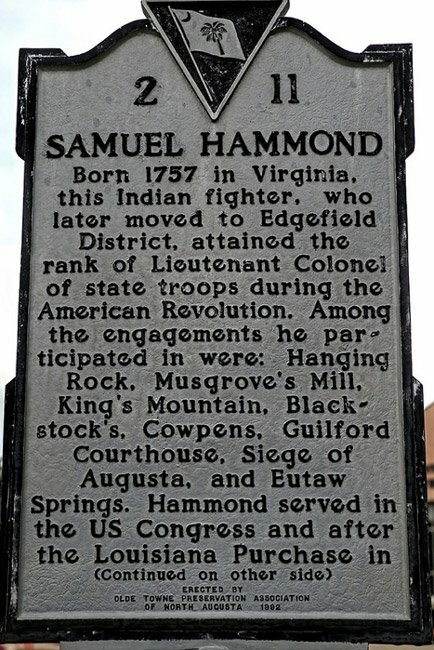 Though all four sons were noted for their service in the Revolutionary War, Charles Hammond’s son Samuel was renowned for his leadership as a Lieutenant Colonel, having fought in several significant military engagements, including Hanging Rock, Musgrove’s Mill, King’s Mountain, Blackstock’s, Cowpens, Guilford Courthouse, the Siege of Augusta, and Eutaw Springs. 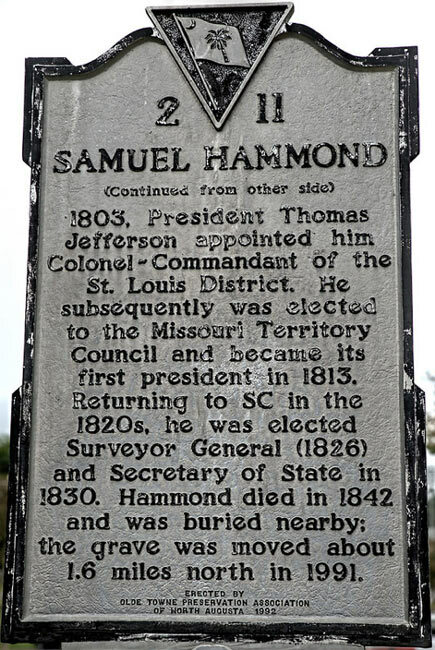 An historical marker honoring Samuel Hammond, seen below, was erected in 1992 at Hammond’s original burial site near the front of the present-day Riverview Park Activity Center. 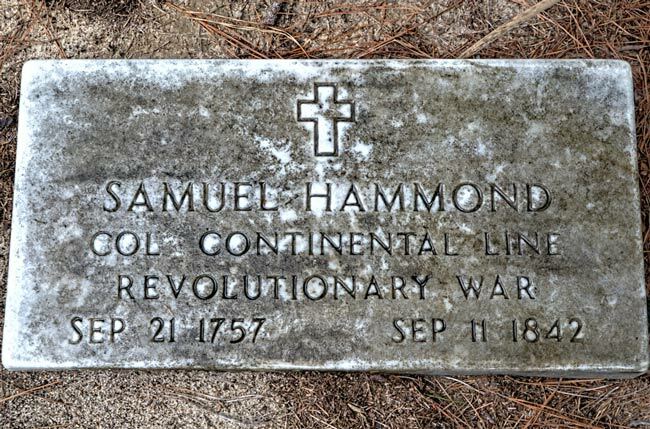 Following the war Samuel Hammond served in many capacities, including leadership roles in the territories of Louisiana and Missouri and representing Georgia in the United States Congress from 1803 until 1805. When he returned to South Carolina in 1824, Hammond served in the state House of Representatives before being named Secretary of State of South Carolina, a position he held from 1831 through 1835. Adjacent to the home is the Hammond family cemetery, where several Hammonds are interred. The grave of Samuel Hammond was relocated to the Hammond family cemetery from its original location, less than two miles away, in 1991. The re-interment was the result of the development of the Riverview Park complex, part of which was built on Hammond’s burial site. The park was completed in 1994. 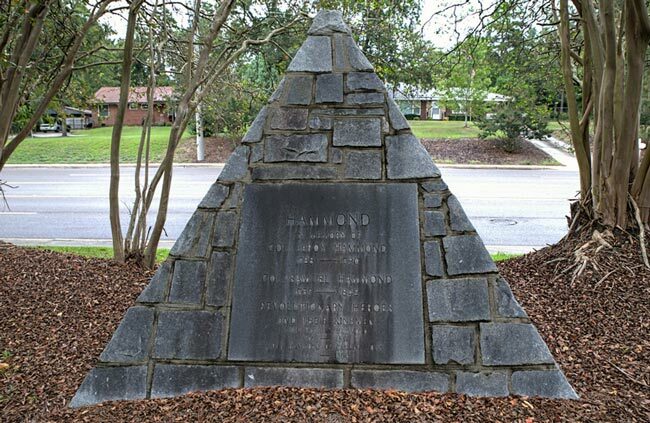 A granite pyramid guarding the family cemetery commemorates Colonel Samuel Hammond as well as his uncle, Colonel LeRoy Hammond, Senior, and cousin, Captain LeRoy Hammond, Junior, both of whom also served in the Revolutionary War. prosperity was attained. 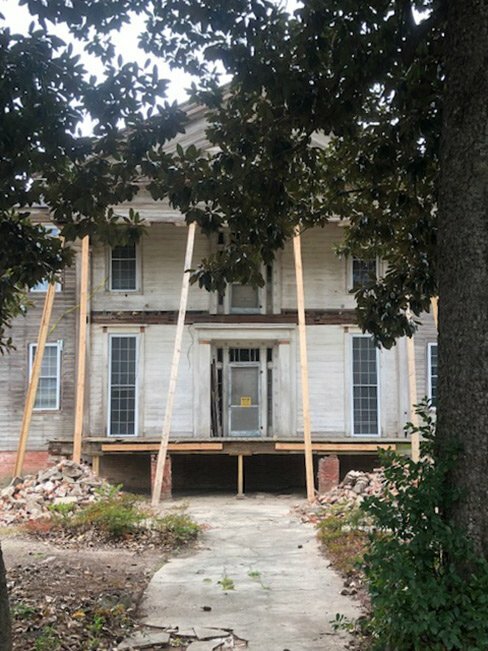 The Charles Hammond House was originally a two-story pine clapboard structure existing from ca. 1775-1780. Additions to the home (ca. 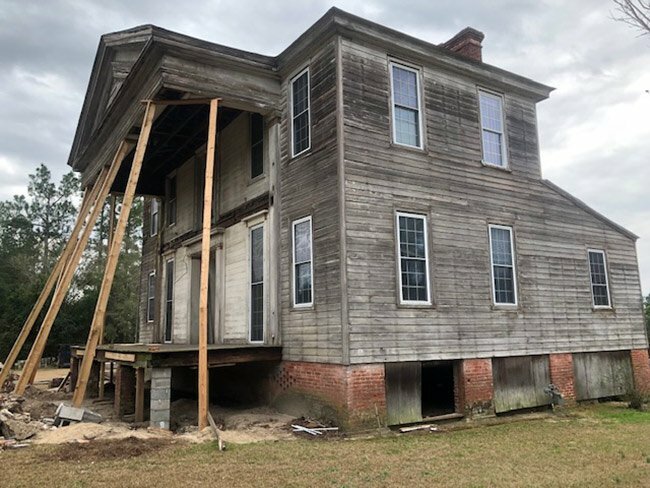 1830) included front and side porch, extension of the back porch, and rear wing producing an L-shape appearance. 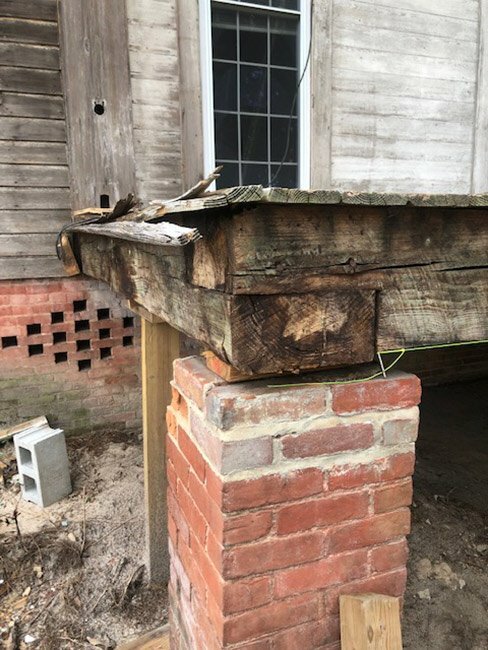 The house has a pipe stem chimney, unusual for the area. 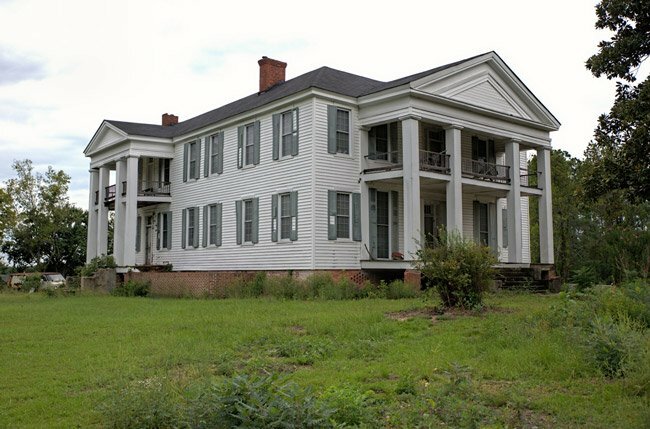 The house has three porches; those on the east and south are both two-story with four square paneled columns. The original shingled roof has been subsequently replaced by tin. The interior of the home originally consisted of five rooms with central hall. The ca. 1830 additions added four rooms, two on each floor. Around 1830, an English gardener landscaped a formal garden for the front and side yards. The old brick remains. This home is currently on the market but does not include the cemetery. It is in very bad shape but is restorable. I wanted to purchase it, but for once my husband over ruled me. I have heard rumours there was another house like this one closer toward North Augusta around where the Greenway crosses Martintown Rd. Who is managing the cemetery trust at this time? That house is in my back yard. Can see part of my house in the second photo. Larry, these top two photos are some of the most beautiful I think you've ever shared with us!